I am excited to be partnering with Downy Ball for this paid post, particularly because working on this post also meant accomplishing a few loads of laundry…which is always a good thing. All thoughts are my own. Five kids. Messy, dirty, active kids. One husband who works outside with chemicals, bleach, and lots of water. Lots and lots of laundry. I decided early in my parenting years to teach my kids how to do things around the house. Laundry, dishes, cooking, vacuuming, dusting, etc. I figured I had to teach them all of these essential adult skills at some point, so why not start them early? I have used many different washing machines over the years and the conclusion I’ve come to is that at this stage in our family’s life, our trusty non-HE top loader washer is perfect for us. It couldn’t be easier to use (the kids really can’t even mess a load up…unless they mix the new red towels with the white dress shirts). It fits nicely in our rather small, nothing-fancy-here basement laundry room. And it gets our clothes clean. What more can a mama ask? Actually, I can tell you what I’d ask for. As easy as it is for any of the kids to start a load of laundry, our challenge seems to be in getting the laundry DRY. My husband’s solution for years has been to hang the towels and the jeans to dry. I came home from 2 weeks of travel recently to find several bath towels and 2 pairs of jeans hanging behind the washer and dryer. I removed them from their hangers and they were so stiff that they could practically stand on their own. There’s nothing worse than a stiff, scratchy towel or an uncomfortable, can’t-bend-my-knees pair of jeans. I prefer my clothes to come back from the wash feeling soft and smelling great. I think that’s a reasonable expectation. So what did I do when I found those not-so-soft towels and jeans the other day? I washed them again. Don’t tell my husband. But, really, who wants to dry off after a shower with a towel that’s stiffer than those brown cardboard-like paper towels? 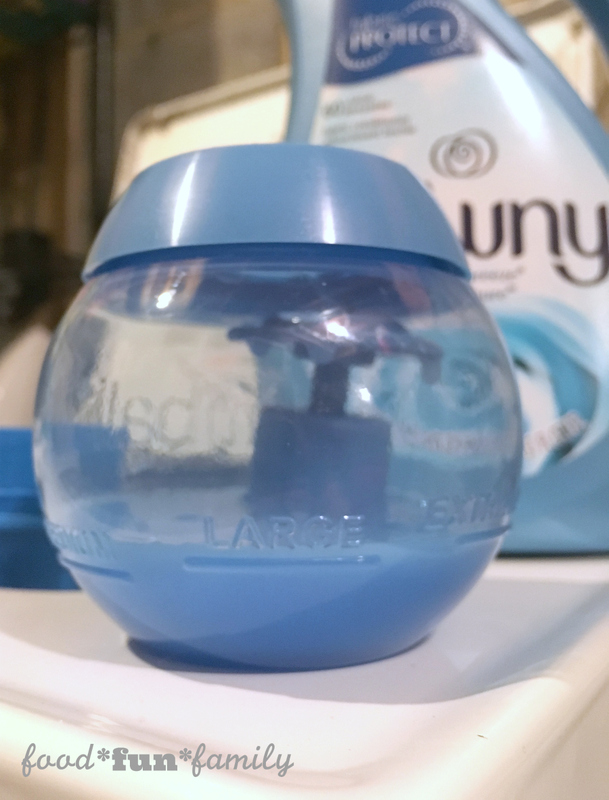 And then, one of the first things I grabbed at the store last week was some Downy Ultra fabric softener to use with my new Downy Ball because I wanted all of my clothes (and the towels!) to feel softer and smell better. It couldn’t be easier to use the Downy Ball (even the kids and husband can handle it!). 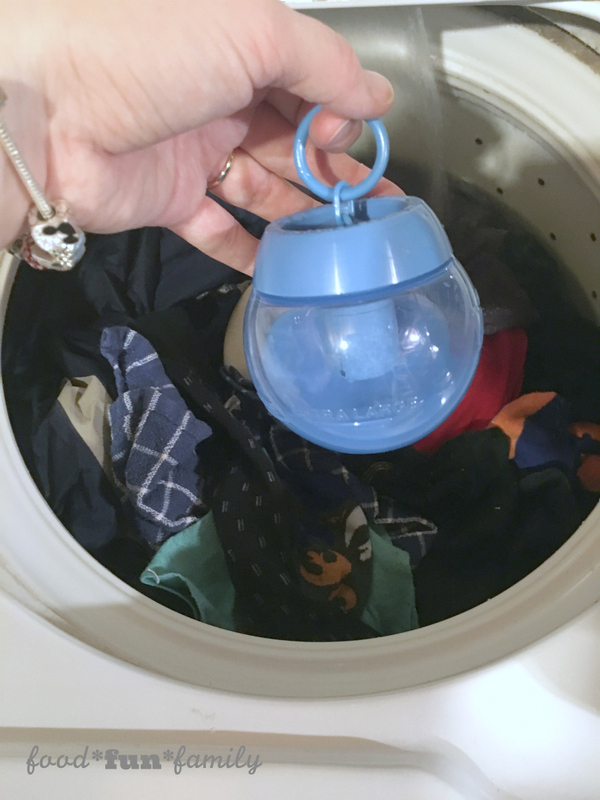 You just pop the top of the Downy Ball down, pour in some Downy Ultra fabric softener to the line (based on the size of the load), pull the top back up to “seal”, and stick it on top of your clothes at the beginning of the wash cycle. Yes, that’s right. No more waiting for the rinse cycle. No more cleaning out your dispenser. The Downy Ball releases fabric softener at the right time, every time. So you can start the wash and walk away. Just don’t be like some people in my family and walk away for so long that you forget that you have a load of laundry in the washing machine. You’ll love the difference. NOTE: The Downy Ball only works in top-loading—non-HE—washing machines. Just another reason why I’m glad that we still have a non-HE washing machine. Purchase the Downy Ball online HERE. Be proud of your non-HE washing machine! It has been with you for countless spills, stains and spin cycles. And it’s going to be with you for countless more. Buck the high-efficiency trend and be proud to be Non-HE! With Downy Ball, your non-HE washing machine makes softness simple. 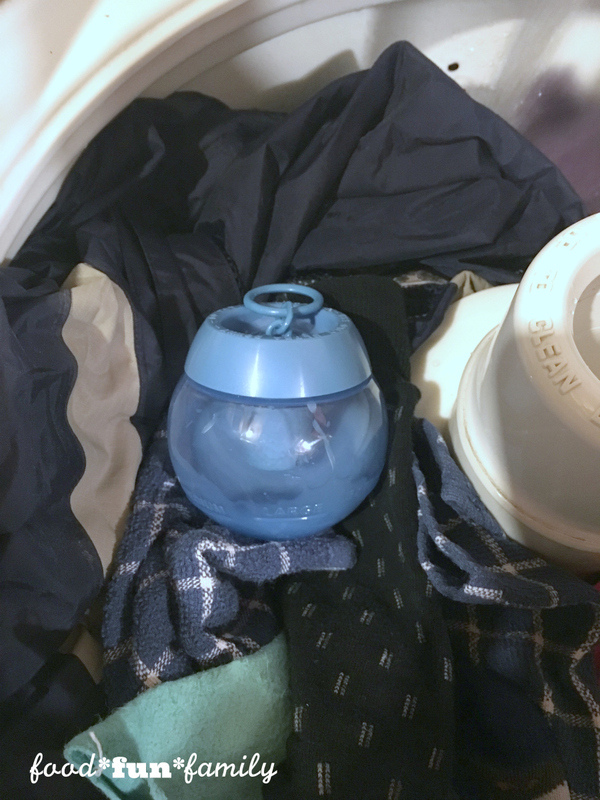 All you have to do is fill the ball with fabric softener, seal it and drop it in at the start of the wash. Then let your non-HE washing machine automatically release the fabric softener during the rinse cycle. You can’t do that in an HE washing machine! Click here to learn more. This is the first time I’ve heard about this “Downy Ball” and I guess it’s pretty amazing! I want to try it soon. I do not like the HE washers. I found them to not wash my clothes very good. 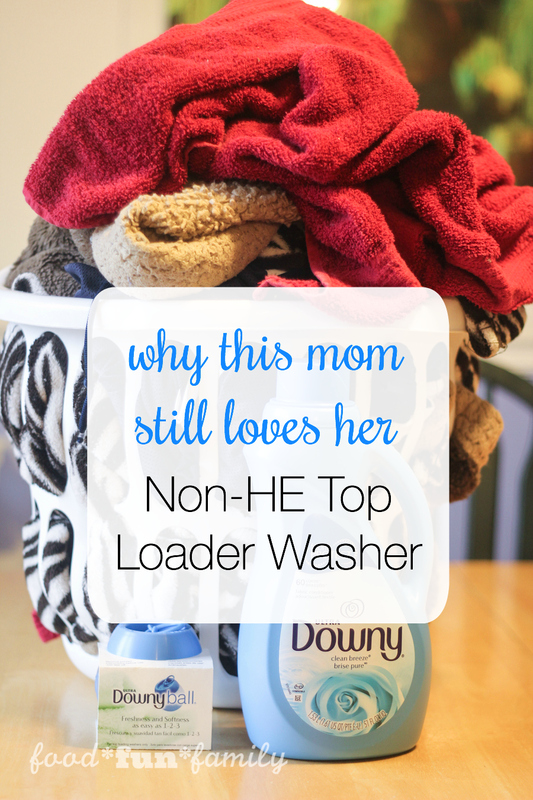 I have a top loader regular washer and love it. I need to get this Downy ball and use it. I do not like stiff towels myself.